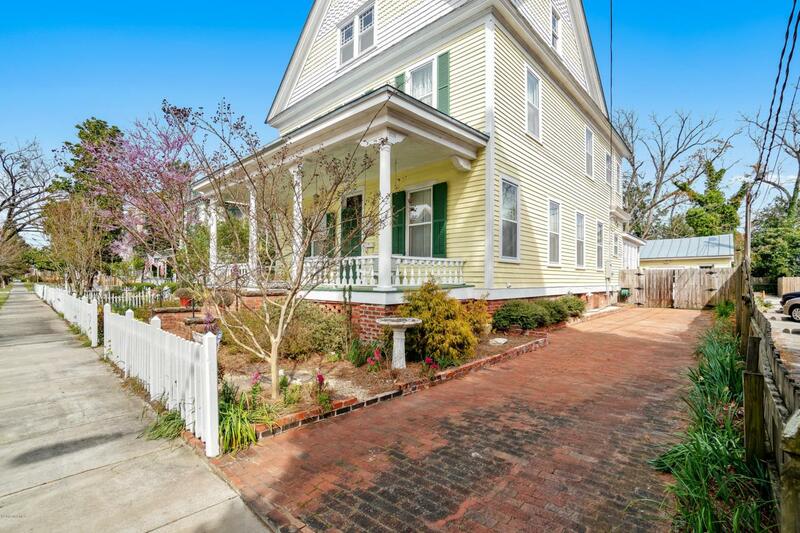 An impeccable Victorian home in New Bern's Historic District is located just blocks from downtown and the waterfront. 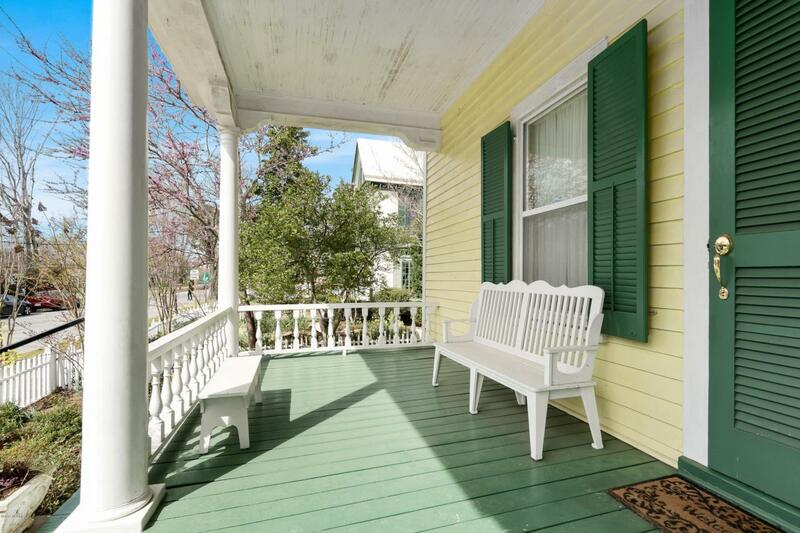 The Claudius E. Foy House was built in 1901 by Herbert Woodley Simpson, who was a renowned architect in New Bern and eastern North Carolina. 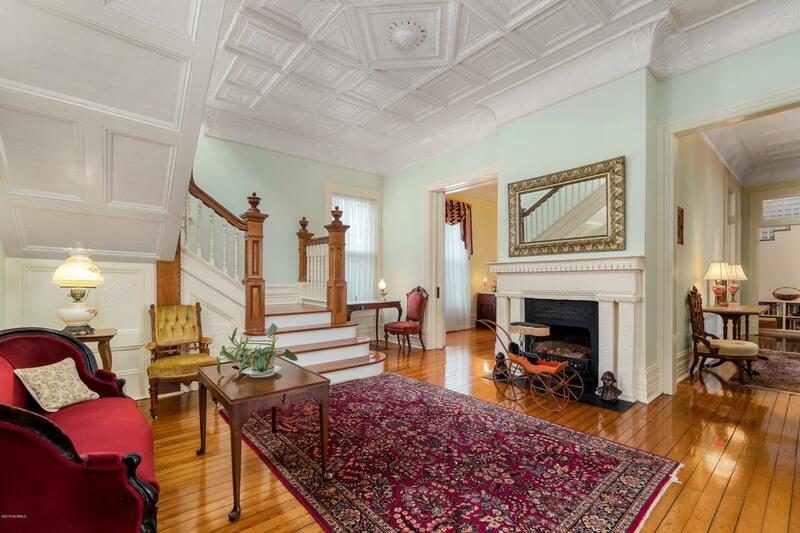 This home has beautiful heart of pine floors upstairs and oak floors downstairs, original tinned ceilings, custom mantles for six fireplaces, beautiful moldings and baseboards. 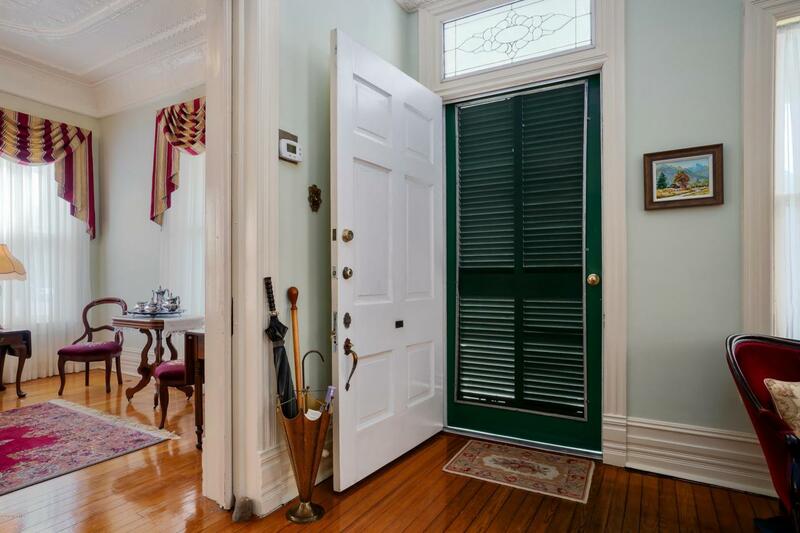 This home been meticulously maintained and is a true pleasure to show. Listing provided courtesy of Steve Brown of Landmark Sotheby's International Realty. © 2019 NCRMLS. All rights reserved. North Carolina Regional Multiple Listing Service, (NCRMLS), provides content displayed here (“provided content”) on an “as is” basis and makes no representations or warranties regarding the provided content, including, but not limited to those of non-infringement, timeliness, accuracy, or completeness. Individuals and companies using information presented are responsible for verification and validation of information they utilize and present to their customers and clients. NCRMLS will not be liable for any damage or loss resulting from use of the provided content or the products available through Portals, IDX, VOW, and/or Syndication. Recipients of this information shall not resell, redistribute, reproduce, modify, or otherwise copy any portion thereof without the expressed written consent of NCRMLS. Data last updated 2019-04-19T15:56:48.807. Berkshire Hathaway HomeServices Prime Properties is Greenville - Washington's most innovative real estate team.